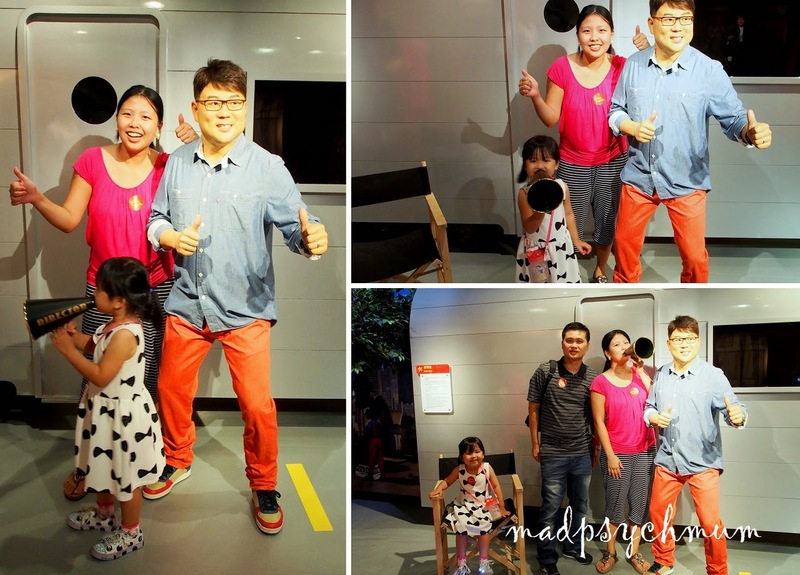 Although we've been to two Madame Tussauds before (once in Hong Kong and the other in Sydney Australia), we were still pretty excited to visit our very own Madame Tussauds Singapore! 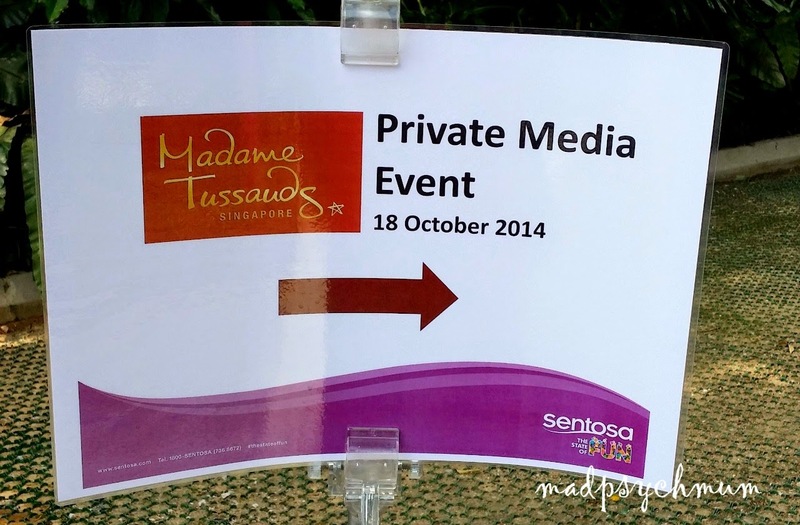 Located at Imbiah Lookout on Sentosa, Madame Tussauds is the island's newest attraction. 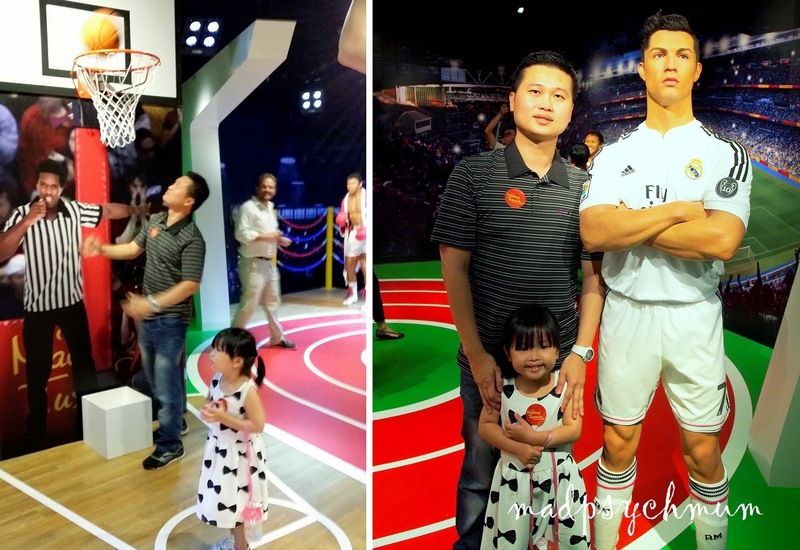 We were one of the lucky few who were able to visit the attraction before it is opened to the public this weekend. 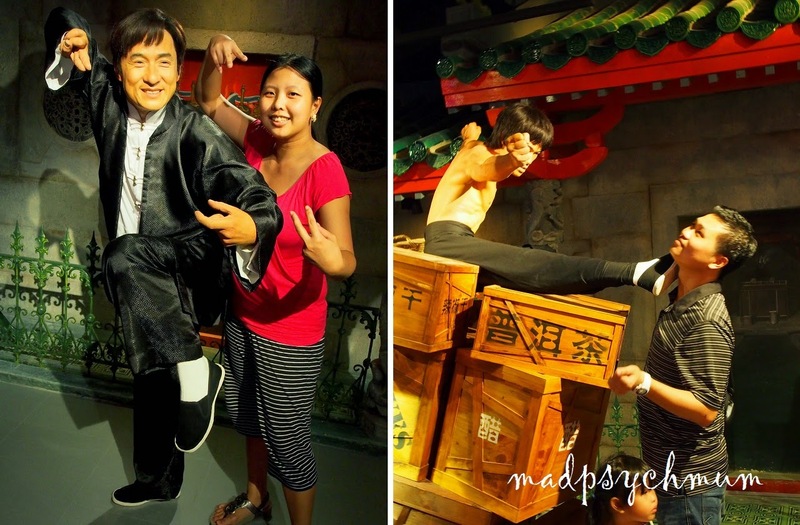 My girl has visited both wax museums in Hong Kong and Sydney but she couldn't remember as she was too young when we visited in Hong Kong and she was taking her nap when we visited it in Sydney. She was thus very excited. It was all very new to her. Doesn't this guy look super familiar? Why, you see him all the time on every bank note! 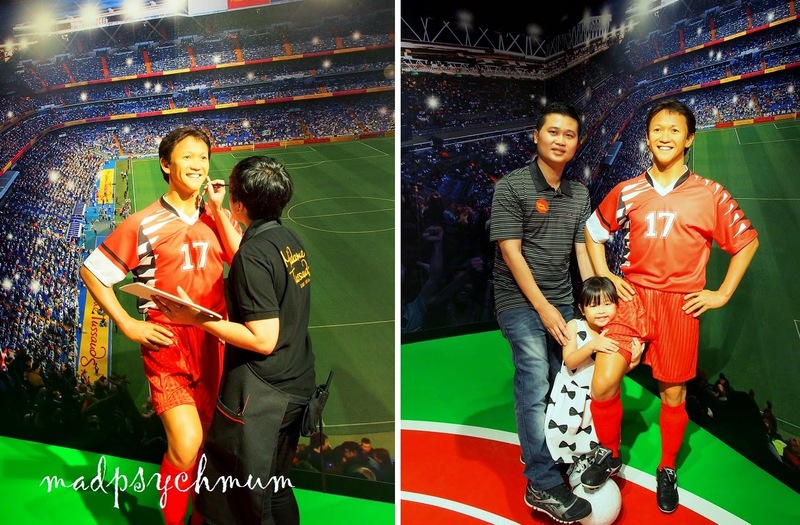 Singaporeans love football so not surprisingly, there was a small section featuring football stars! 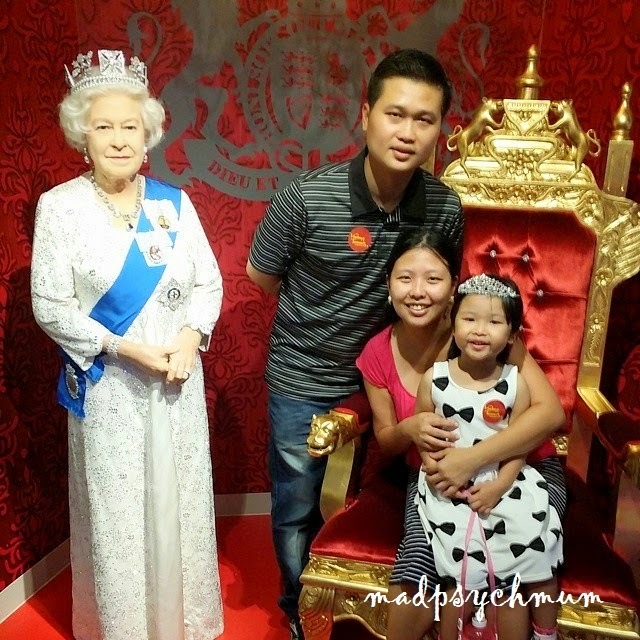 Have never seen the hubby so enthusiastic about taking pictures with wax figures..
A member of the staff was still putting on final touches on Fandi Admad when we took this picture! 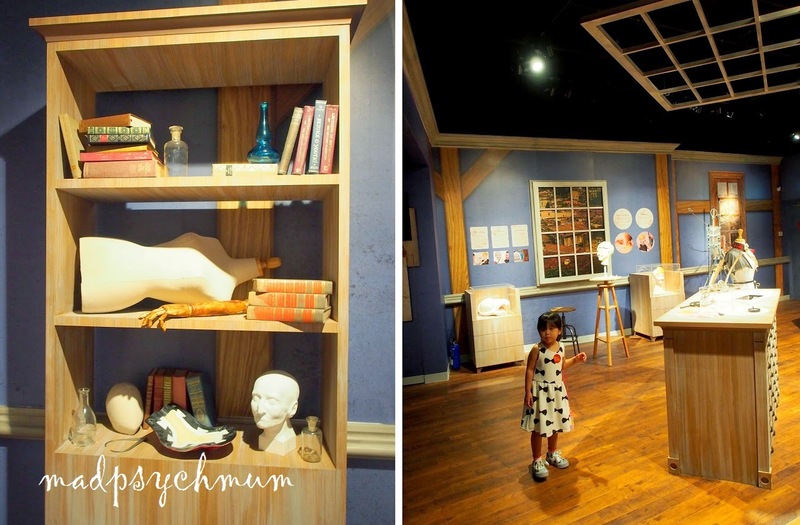 As with all wax museum, there was an area that explained the whole process of making wax figures. It is a very tedious endeavour which is why each figure cost a whopping $300,000 to create! 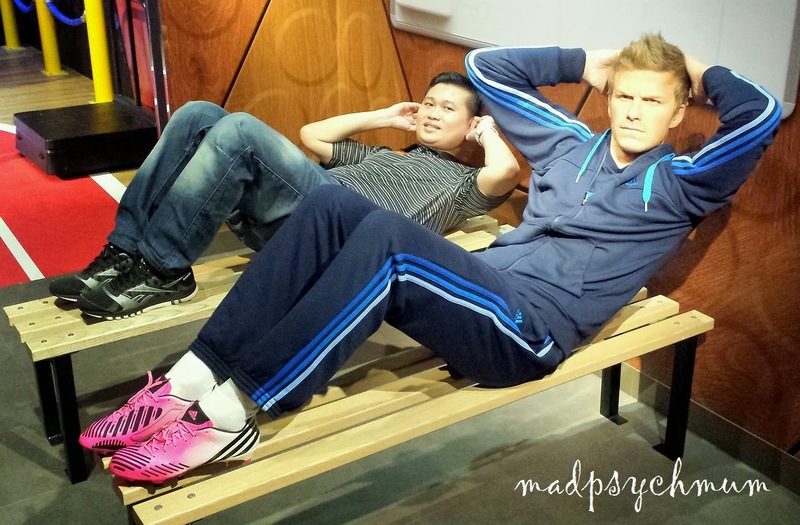 This guy represented Singapore when we hosted The Amazing Race and is now immortalised as a wax figure! 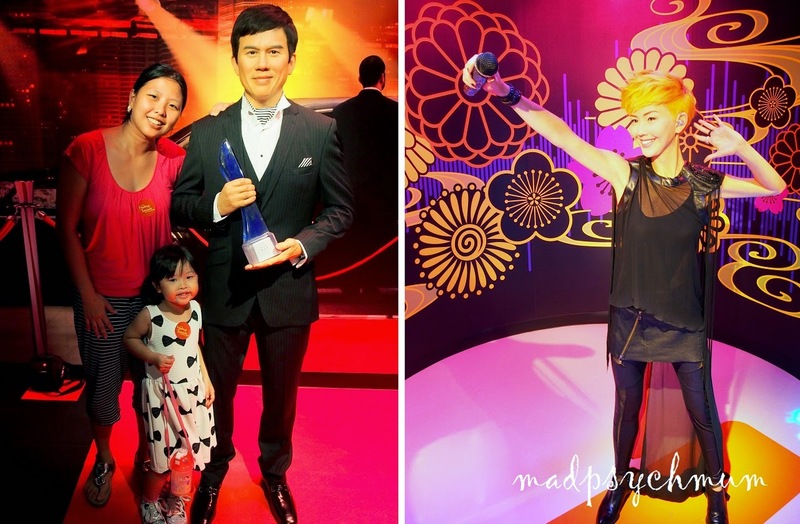 With my favourite singer/musician/director of all time, Jay Chou (Zhou Jie Lun)! 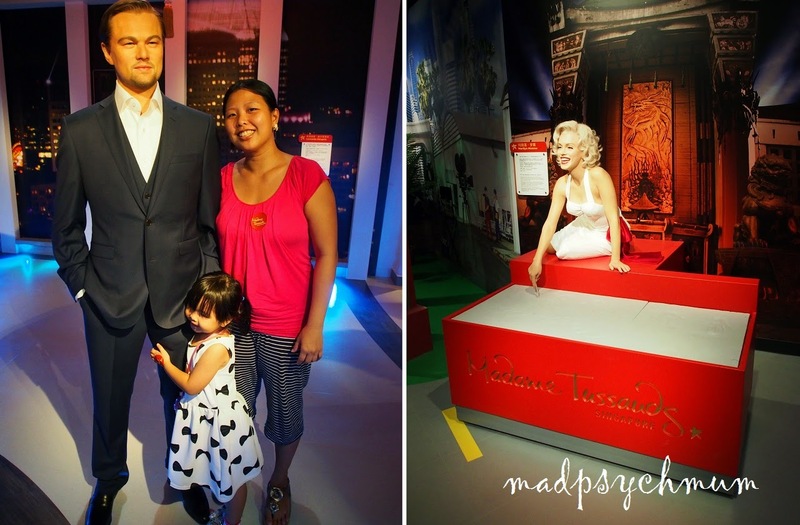 And there's must be a Brad Pitt, Angelina Jolie and Nicole Kidman in every Madame Tussauds that we've visited! 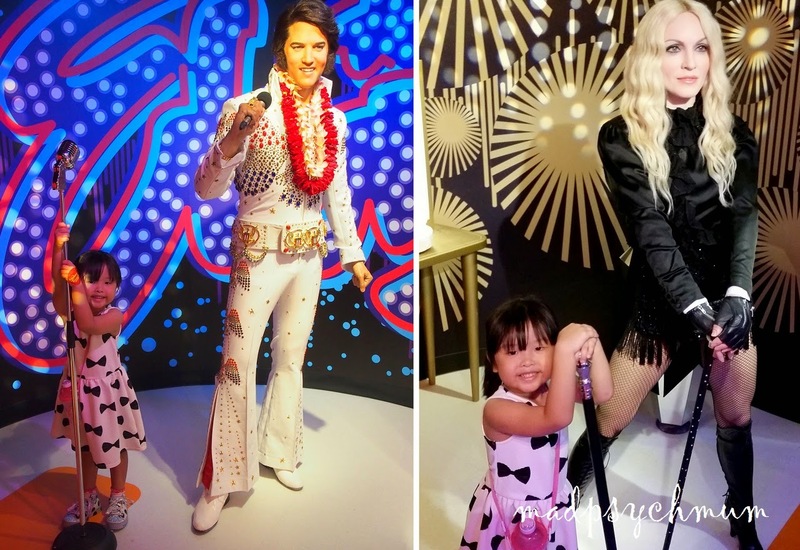 Mega-super-stars! 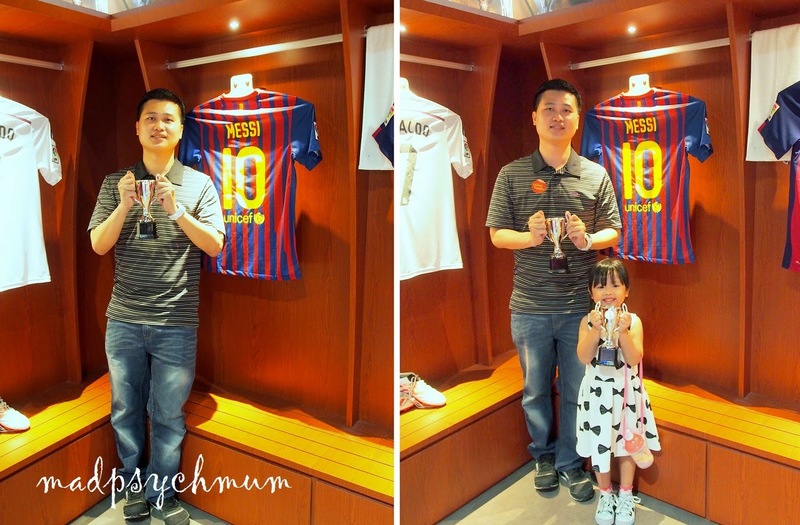 The organisers of this event also encouraged us to post our photos on Instagram so that they can be printed for us as souvenirs at the end of our visit. 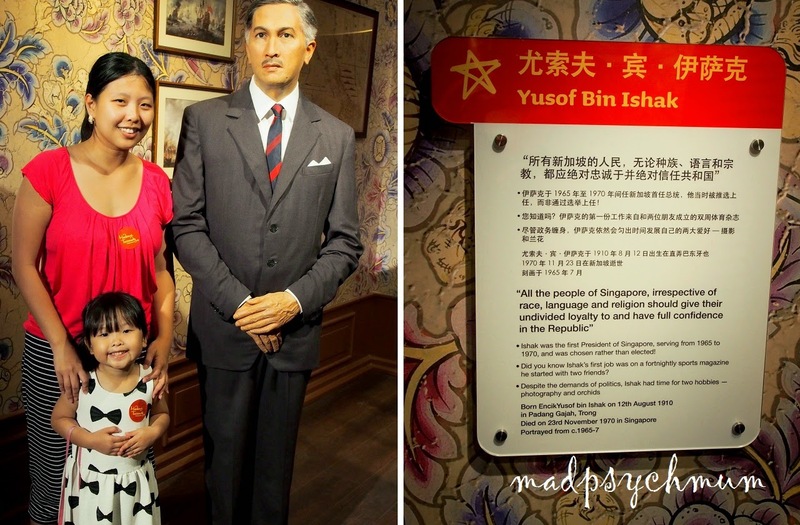 If you're wondering why certain famous founders of Singapore are missing (for example Sir Stamford Raffles and Lee Kuan Yew), either they are still undergoing final touches or are featured in the boat ride. All would be ready by the time the attraction opens (hopefully!). 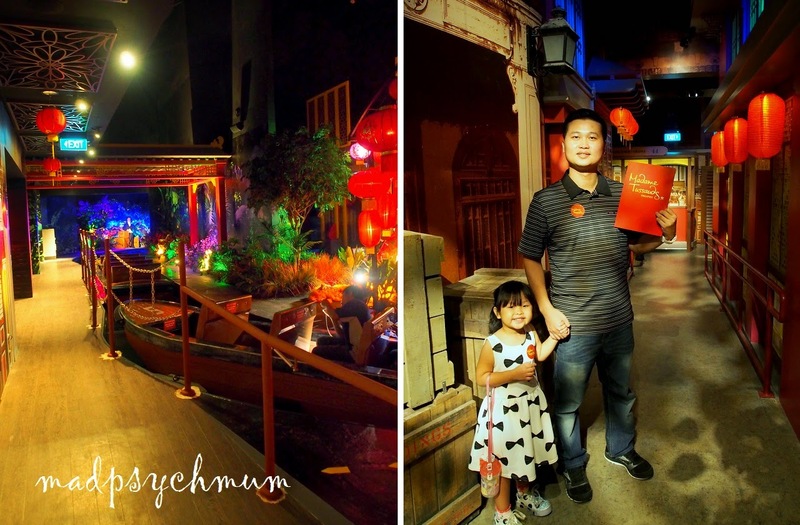 Tickets are now at a special price of S$20 per ticket (usual S$30) till 31st Dec 2014 so do pay a visit before the end of the year! 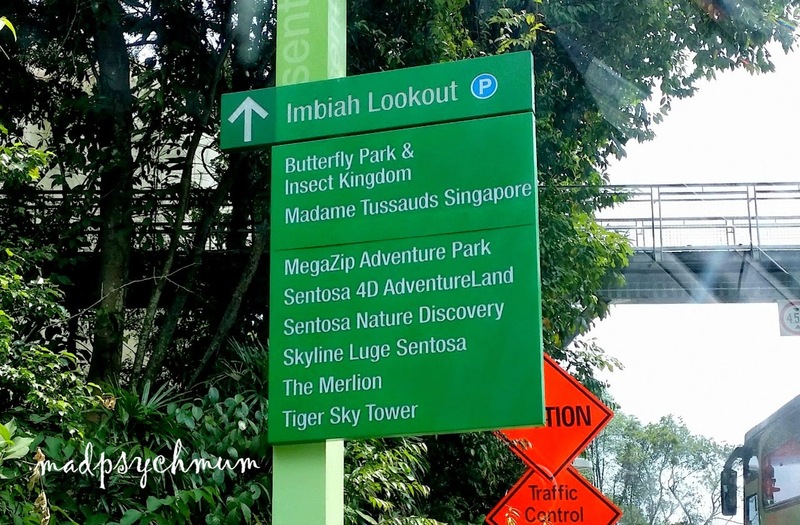 If you're keen to visit the newest attraction in Sentosa, great news! 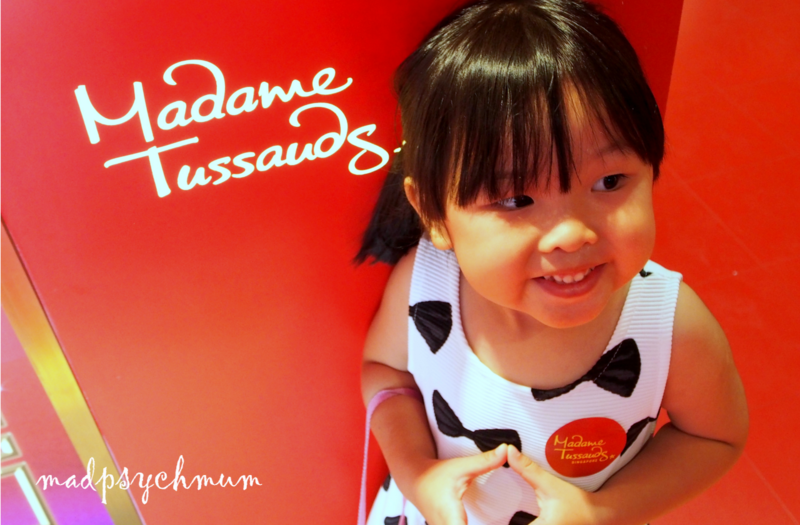 We are giving away a Pair of Tickets to Madame Tussauds Singapore (worth S$60) to THREE lucky winners! (2) Enter the above entry into the Rafflecopter widget below (don't forget to do this as we'll be using the widget to pick the winner!). a) This giveaway ends on 7th November 2014 (Fri) and is only open to readers living in Singapore. b) Participants must leave a comment with the required answer and enter their entry into Rafflecopter in order to qualify. Other entries entered into Rafflecopter must also be completed (I do check!). Incomplete entries will be disqualified without notice. c) Limited to one prize per household. e) The tickets are valid for one month from date of collection. 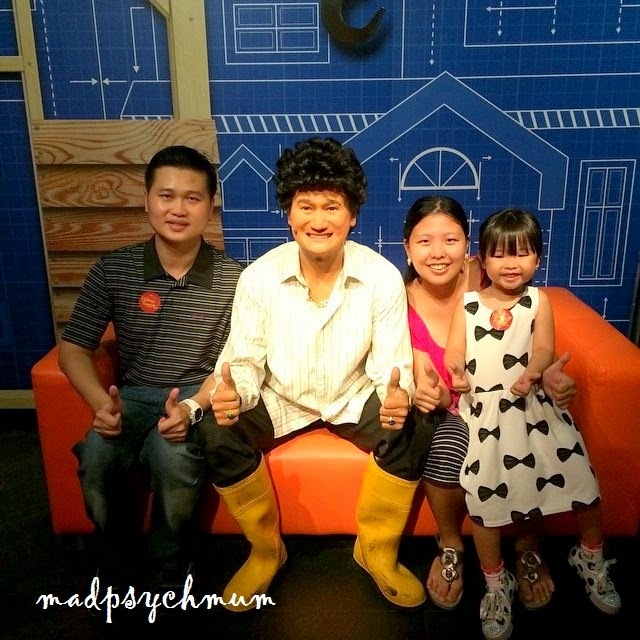 This post is part of my MadPsychMum Fun in Singapore Guide to all things exciting for kids! 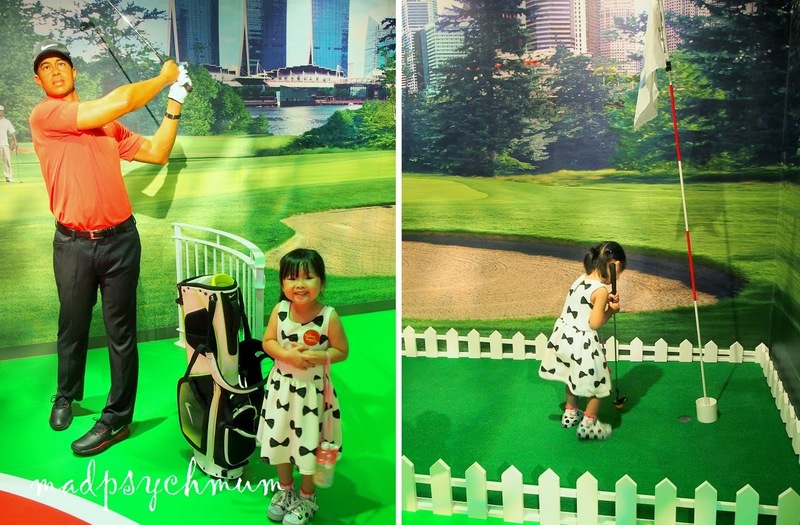 You can also follow us on Instagram or join us by using our hashtag #mpmfuninsg! 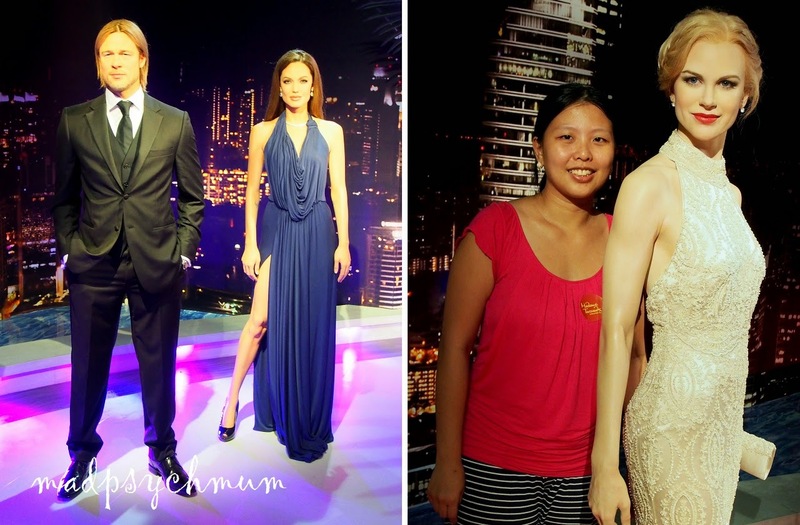 Disclosure: An invitation to this media preview was received from Madame Tussauds Singapore for the purposes of this review and giveaway. No monetary compensation was received; all opinions and text are my own.